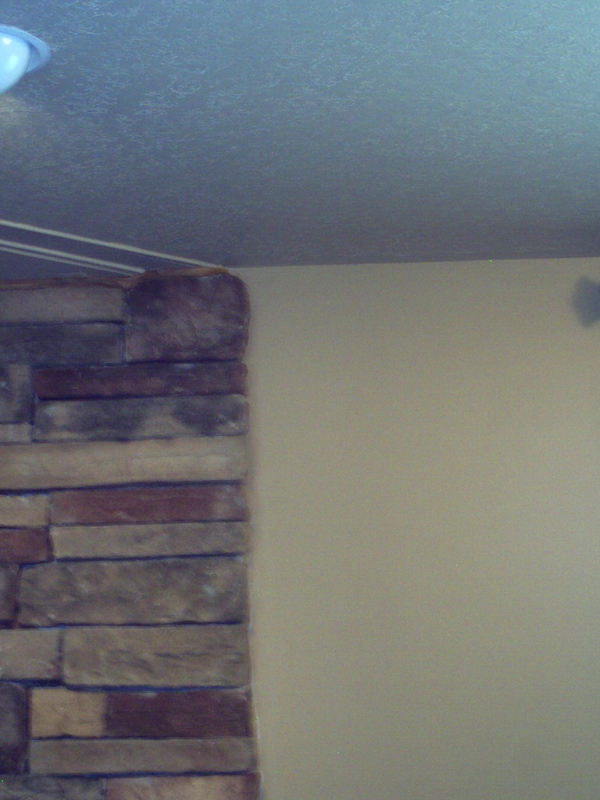 A closeup picture of the stone and wall color. The use of an earth tone brings warmth and richness to the color. to match the stone fire wall. outside with an exterior door. Basement rooms need light colors. warmth and brightness to the room. This basement is in Orem, Utah.